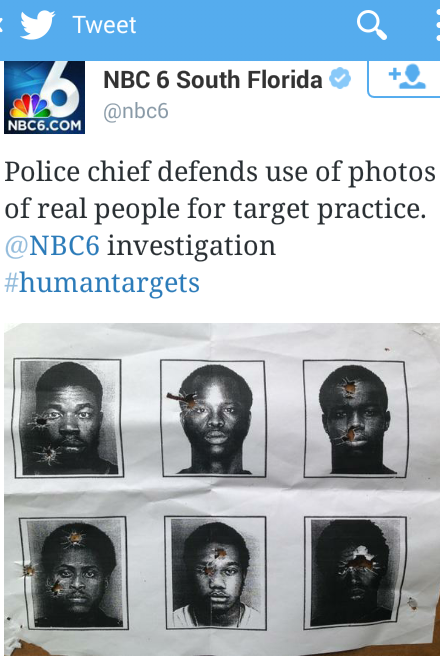 Woody Deant, pictured above, and a few other real black men are speaking out to an NBC News reporter who is investigating the use of the men's photos for police training target practice. Unbelievably, the police are defending their actions. There was an uproar on Twitter after the report aired. Woody Deant's photo was discovered by his sister, an army player, as she was about to use the police shooting range with her team for their annual training. 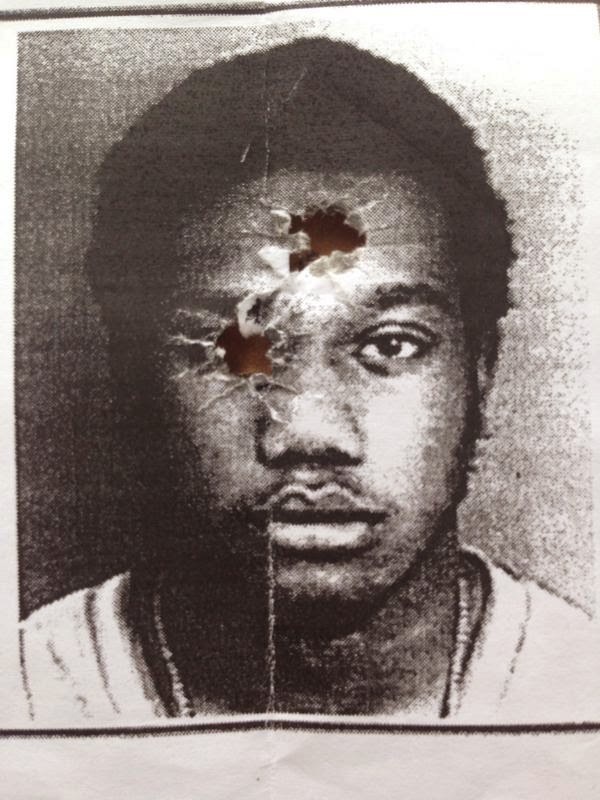 To her shock, one of the images was her brother from his mug shot taken 15 years ago, and it was riddled by bullets. 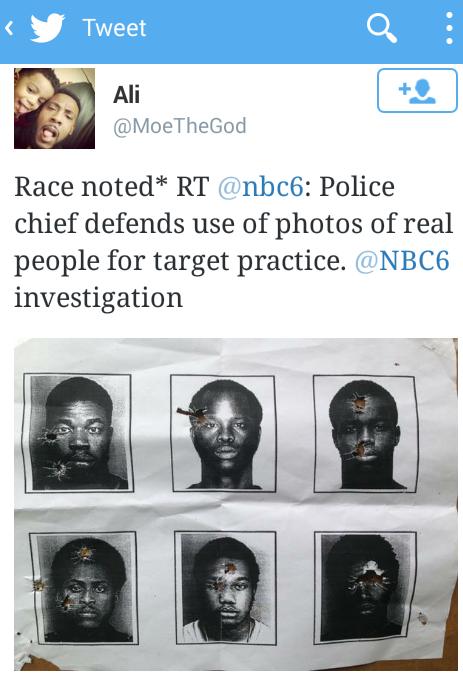 “The picture actually has like bullet holes. One in my forehead and one in my eye. …I was speechless." North Miami Beach Police Chief J. Scott Dennis admitted that his officers could have used better judgment, but denies any racial profiling. He noted that the sniper team includes minority officers. Dennis defended the department’s use of actual photographs and says the technique is widely used and the pictures are vital for facial recognition drills. But the Deant family, and many on Twitter wonder why officers were firing targets with images of real people, in this case African-Americans. I believe they have a point.